Amazon Kindle is the ebook reader. Do I need to say anything else? I will though, for the sake of clarity. Else, if you already read these primer pages go ahead and read this review. Why is Amazon's Kindle considered one of the best eReaders? There are many models of Kindle out there, why is it the best one? Well, as well as many other things in life the answer is: it depends. Actually it depends on which are your specific needs. Let's go ahead and see all the Kindle models available. The first one is the classic version of the device. You can actually store 1400 books without any problem and you can buy them from the huge amazon online kindle store. On of the great things about this device is its simple yet effective design. It has 4 lateral buttons 2, the big ones, to move forward the page, the smaller ones to move backwards. I can assure you that this is an awesome feature and you'll not regret not having a real book in your hands because you'll simply get so immerse in your reading that anything else could pull you out of the flow. Basically this first model is an easy to use device. 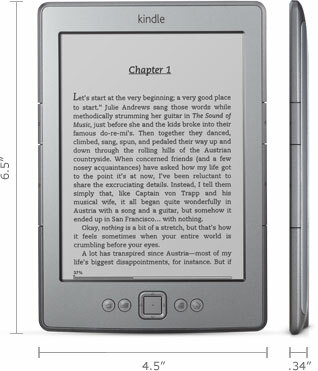 Very user friendly and very essential, still, it is one of the best Kindle models. Kindle, Wi-Fi, 6" E Ink Display Take a look at the device on Amazon's site. The second device that I am going to present here is the Kindle touch. What is different here is that the device has a touch screen. To me that doesn't have any appeal mainly because after some getting used to it, it's frustrating turning pages by touching the screen once that you experienced the fantastic buttons of the other Kindle devices. However for the touch screen lovers this is a must have. The interesting features of this model are many. Let's start by memory capacity. It has grown a lot since now you can store 3000 books on your device. The device is smaller and lighter than the previous models. As the previous devices it has got a very wonderful battery life: 2 months without WIFI. If you're part of the Amazon Prime's membership you can actually borrow books from other members for free and without due date. 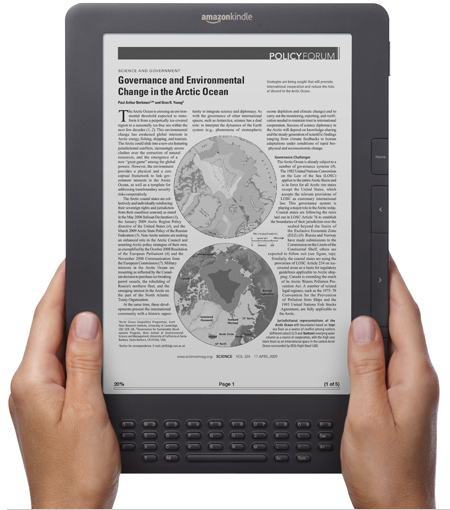 That alone repays all the 100 bucks you'll invest in the Kindle touch. For what it concerns Kindle touch 3G there's no difference from the Kindle touch except for a free 3g internet connection all over the world. Yes you heard it right. You'll have a free internet connection all over the world to access the store, sync your books and your last page read, download and buy new books without any additional fee. If you want to take a look at the two models just click on the links below. 9.7" of pure eReader, it is big. Very big. Did I already mentioned that it is huge? 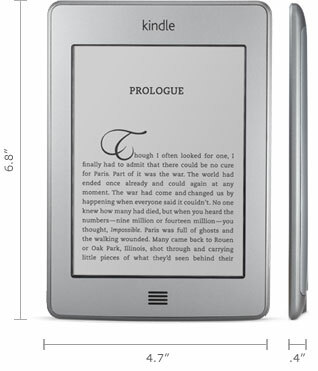 You can store up to 3500 books, you'll have your free 3G connection everywhere in the world and a fantastic E-Ink screen with a very high resolution and very sharp definition. I think that I'm going to stop here. Mainly because it has got all the features of the previous models. One thing to note however is that it isn't a touch screen but let's be clear about it: Who cares?! "Brace yourselves Kindle Fire is coming." "Kindle Fire is not a device, it's a state of mind." If you didn't make up your decision of which model you want to take then continue reading please, for you won't be uncertain anymore. First of all ask yourself this question: do you need only an ebook reader or do you want a device that allows you to read ebooks, watch films and tv series, listen to music, send emails, download a ton of apps and games, read magazines and surf the internet? Well I bet you chose the latter, didn't you? Well then take a Kindle fire. For only 200 bucks you actually get a tablet, not a simple eReader. Obviously this device is different from the ones mentioned above. It has a 7" touch screen color lcd display, a shorter battery life due to Wifi usage and lcd backlighting. The features of the other Amazon Kindle models are available also in Kindle Fire, made an exception for the E-Ink display and the free 3G. 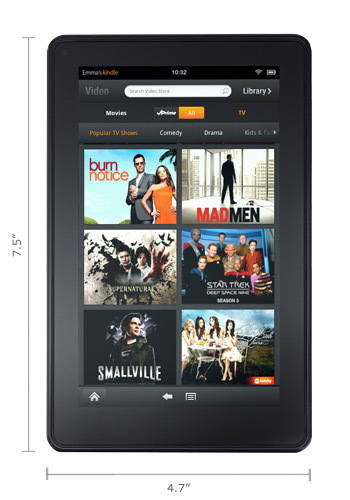 Do you want to take a look at the Kindle Fire in the Amazon shop? Just follow the link below! Kindle Fire, Full Color 7" Multi-touch Display, Wi-Fi Check out Kindle Fire here!